The live auction took place later in the day, and was MC'd by Dave Varshock, who entertained a happy audience! 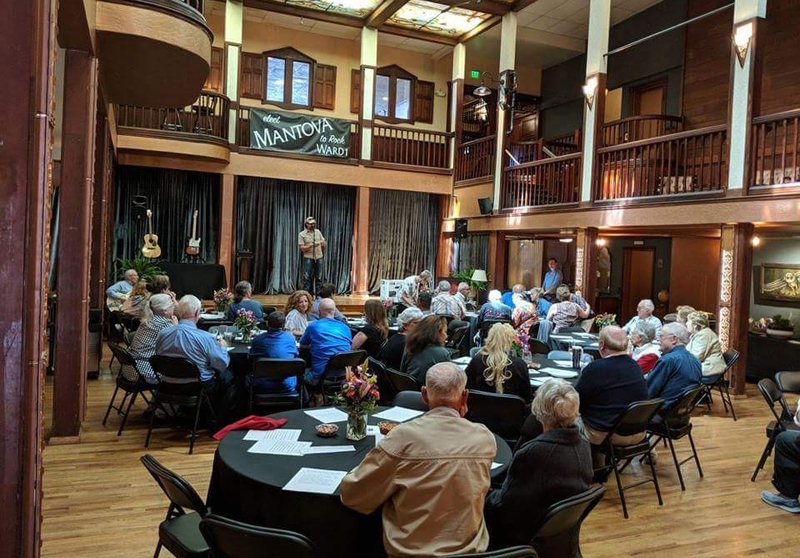 Good times were had by all, the campaign's financial goal was exceeded, and Im very thankful for the hard work of campaign manager, Corky Mitchell, our treasurer Cory Fleck and the numerous volunteers who made this event possible. Eileen, Aaron, Jonathon you know who you are! Special thanks to Dave Varshock for running the live auction! The community is ready for Eureka to take a different direction, as a wide variety of different interests were represented at today's event. Many businesses and individuals generously donated to make this auction a reality. Even though the crowd was hungry and thirsty, there was still plenty of food leftover, and we boxed up the leftovers and donated the meals to the Eureka Rescue Mission.